Guest Blog: ‘The Elysium Theatre Company Presents the Medieval Heritage Event ‘The War of the Roses’ by Emily Evans. 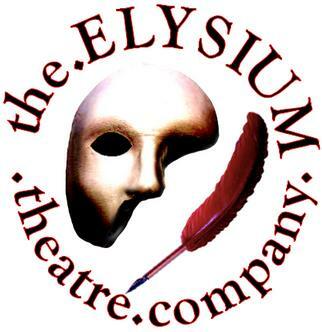 The Elysium Theatre Company began life in Bedfordshire as a small-scale drama group, run by students for students. Since graduating, they have been making plans to aid the expansion and creative growth of the company, and are soon to be launching their biggest and most exciting event yet: a weekend-long immersive experience of Shakespeare’s History Cycle titled ‘The War of the Roses’, taking place in the South-West. The company, founded by Emily Evans and Eleanor Chadwick, has a strong focus on productions of classic plays, in particular those by Shakespeare and his contemporaries, and has a keen interest in bringing history and historical material to life for a modern audience, combining various skills and disciplines. We are in the early stages of our Wars Of The Roses project and already really excited about it! The event is set to be a two-day experience, where the audience will be able to come and go from different locations around the venue, viewing extracts from 8 of Shakespeare’s history plays as well as reenacted battles. All of this will take place within an immersive Living History setting, complete with medieval craftspeople, minstrels and more! The production is all set for performance in summer 2012; the script is coming together, lots of people from different disciplines and backgrounds are signing up to take part and we are nearly there with getting our venue sorted out. The project is supported by the Royal Shakespeare Company’s Open Stages scheme: “a fantastic opportunity to showcase the creativity and talent in amateur arts groups across the UK” (Robin Simpson, Chief Executive, Voluntary Arts), and we are really excited to be taking part in the regional showcase held at Hall for Cornwall, Truro, in June next year. – Metal workers (for costume armour and props). – New members for the production team. – New members for the marketing team. And soon we’ll be holding auditions for actors who would like to join our company! Or email us at: elysiumtheatrecompany@gmail.com.